New Eden is in the Post-Phoebe phase and the landscape has changed dramatically. Clearly, change is happening, but not it may not be what many had hoped for. 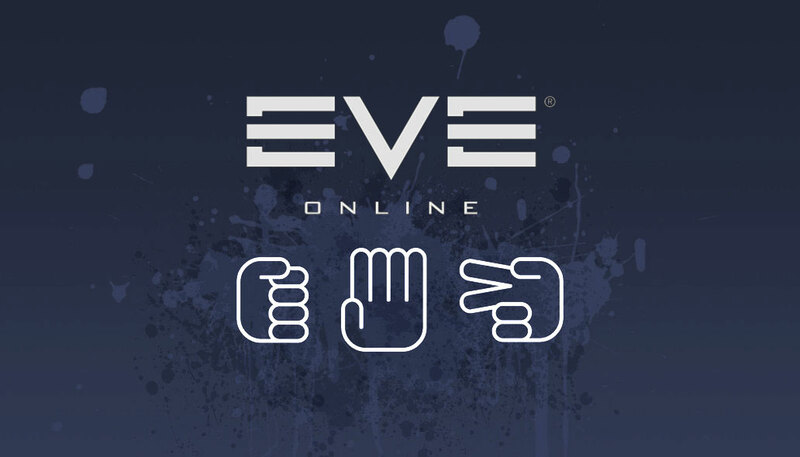 Eve has always been a game of Rock, Paper, Scissors. At almost every level of the game, there is a counter to strengths that create a balance, or at least the opportunity for balance. The world of solo PvP is all about understanding how to counter what the opponent has prepared. In most spaceship encounters, the use of counters is at the core of the game’s alluring complexity. The hatred of the Warp Core Stabilizer in the pirate and faction warfare community is well known, specifically because it is an effective counter. The powerful sniping battlecruiser can be damped by a single Maulus or Celestis. A logistics cruiser can be jammed into uselessness with ECM, allowing a fleet to be cracked. Properly placed ships with smartbombs can ruin the day of entire fleets, from frigates to battleships. Getting ‘under the guns’ of artillery equipped ships with fast, close brawlers leads to many amusing lossmails. This complexity and ability for FCs to adapt to the situation with counters, and counters to the opponents counter, is what makes Eve such a remarkable game. When the rock, paper, scissors balance is working well, fights are complex, interesting, and fun for those involved. Forums and blogs are often filled with rants about specific ships or fleet compositions that are ‘OP’ (overpowered). I would argue that the issues is not about being ‘overpowered’ as much as it is that there is no effective counter. Without a counter, FCs make the logical choice and use these compositions to win fights repeatedly, much to the dismay of their opponents. As an example, look at the ‘Slippery Pete’, a brilliant fleet design based on the Tengu T3 strategic cruiser that can operate at extreme range with powerful DPS that is almost impossible to scan down. Fleets of Slippery Pete’s can operate with near impunity, only fearing a scanning pilot with perfect skills and clone full of Virtue implants. If you could actually catch one, the ships themselves are paper thin, easy to destroy. But it is almost impossible to catch one, or even get close, when properly FCed. It is the lack of effective counter that leads many to declare the fleet concept to be overpowered. Another ship oft discussed as OP is the stealth bomber. With the ability to fly cloaked and deliver huge damage with little warning, the stealth bomber is feared by all FCs, and a driving factor in all null sec engagements. While EFT warriors will claim various methods to counter bombs, no real ones exist. Theories abound for firewalls, instaCanes, instalock destroyers, and other ideas on how to stop bombers, but in reality, they are rarely stopped. Occasionally a bubble will catch a fleet after they drop bombs, but this is more luck than anything else. The lack of counter to bombers is so apparent, it’s has lead to the reality that battleships are rarely used in null sec combat and if they are, they are devastated by bomber fleets. It is the lack of an effective counter that leads many to declare the fleet concept to be overpowered. The Dev Team has traditionally responded to OP ships with a combination of nerfs and increased counter power. Currently, the Ishtar is in the crosshairs of the balance team as they try to find a way to allow opponents to counter the Ishtar rather than nerf it to the point it is unused in fleet combat. Look to the beloved Drake to see what happens when a ship is nerfed hard enough to relegate it to sitting in hangars, lovingly spun by pilots and hated by FCs. Bringing the discussion back to Phoebe, let’s take a look at the most powerful ships in the game, super-capitals. Many would describe the Phoebe patch as a nerf to super-capitals, since their jump range is so limited. And it is true that super-capitals cannot jump all the way across New Eden with a chain of mid-points. But I will argue that super-capitals have been buffed by Phoebe. The hard truth is that there is no counter to a super-capital fleet other than another super-capital fleet. This is really inarguable. Yes, you can kill a lone Nyx, but when 20 appear, there is literally nothing to be done without dropping your own super-capital fleet. The power of a super-cap fleet is an order of magnitude more powerful than any other fleet composition. They can reinforce an entire region in a single day without breaking a sweat. Pre-Phoebe, the main restraint on super-capital fleets was the fear of a counter drop and escalation on the scale of another B-R5RB battle. The fear of this factored into each super-cap drop, limiting their use. Previously, the only other defense against supers was to cyno jam a system, preventing them from getting in. This defense of last resort could force fights back into sub-capital fleets, but ran it’s own risks, making friendly resupply an issue. Post-Phoebe, the effect on super-capitals is to free them up from the fear of a counter drop. The major powers that can deploy super fleets can be counted on one hand, and have consolidated into defensible areas that don’t overlap. Without overlap, there is little risk of counter-drops. And so we find ourselves today with super capitals roaming systems with complete impunity. As previously stated, there is no defense against a super-capitals other than an opposing fleet of super-capitals. With the jump range changes putting most super fleets out of range of each other, and cyno jammers no longer able to prevent their arrival, a super fleet is an “I win!” card that can be played over and over. 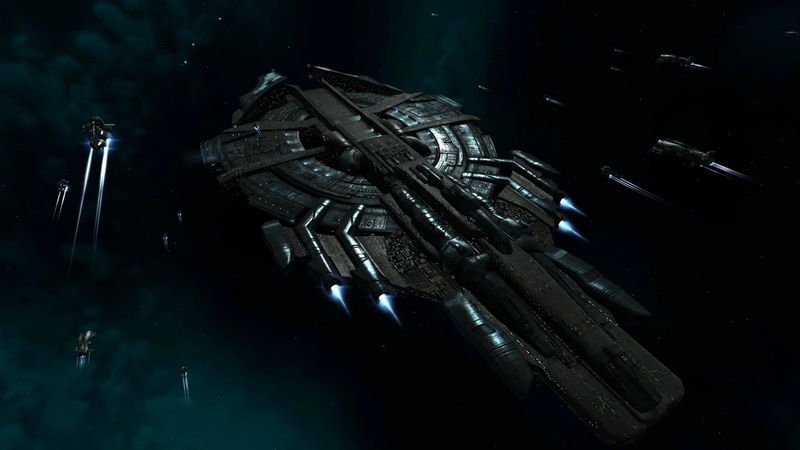 The goal of creating a balance where null sec is filled with a variety of alliances and coalitions with reasons and opportunities for good fights is admirable. But currently the new entrants to null sec exist only based the whims of the powers-that-be that can ROFLstomp at will without consequence, all for lulz on a boring Saturday night. We are told that Phoebe is only the first step in a glorious new future of null sec, but not a single idea has been discussed on an effective counter to super-capitals. There is no paper available, so the rock continues to dominate. And it will continue to smash, unstoppable, until balance is restored in this area.